My special talent is killing plants. I am now a serial killer of plants, but I used to be a plant mass murderer. I once killed seven with one blow and by blow I mean dehydration. 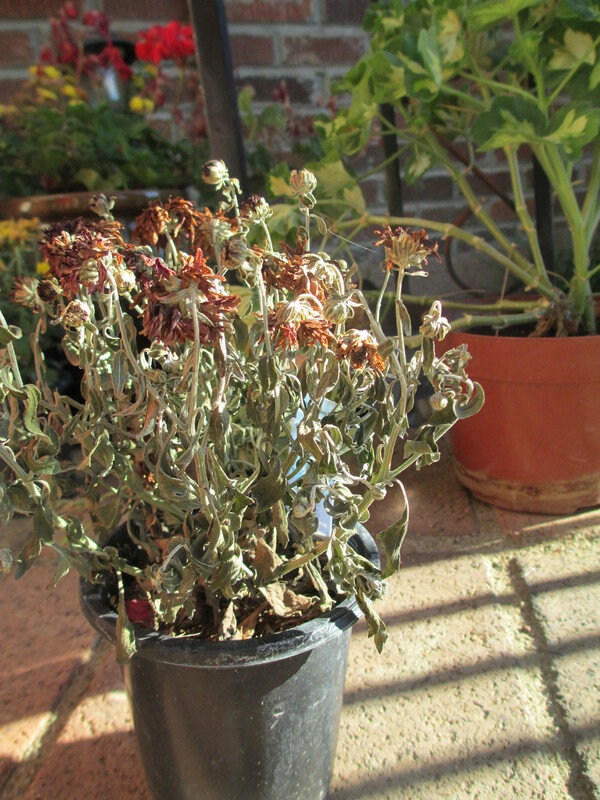 I am slowly making my way toward horticulturists although that is a big fancy word for someone who has a few tomato plants, a few house plants and multiple pots filled with the dried, dead leaves of the previously living. This plant has survived all sorts of neglect. When I go into a garden shop the plants quake in their roots or in their pots. It has taken me a decade of practice and vigilance to develop the skills needed to keep a few plants alive for longer than six months (and that’s mostly because I started buying plants that could live through anything). I prefer to invest in plants that can live with or without sun, or seem to thrive on being root bound, dried out, and never fertilized. I am pretty sure these plants share a gene with the cockroach family otherwise they would have already met their demise under my loving care. They could probably live through nuclear holocaust and decapitation at the same time. These are the plants I am surrounded by. Mostly, because the rest of the plants are already dead. It’s a dangerous world in here with me, and the dogs, and the child. Some plants get chewed or uprooted, some neglected and some knocked over (and then shoveled back in). Some plants get forgotten in the car, in the heat…for days. It’s a dog eat plant world around here. I’m a serial killer: I kill plants. I wish there was a support group out there for people like me. I feel I could get better if just given the chance and the right talk therapy. The best I can hope for now is to get my own Television series. I’ll be like the Dexter of the plant world. 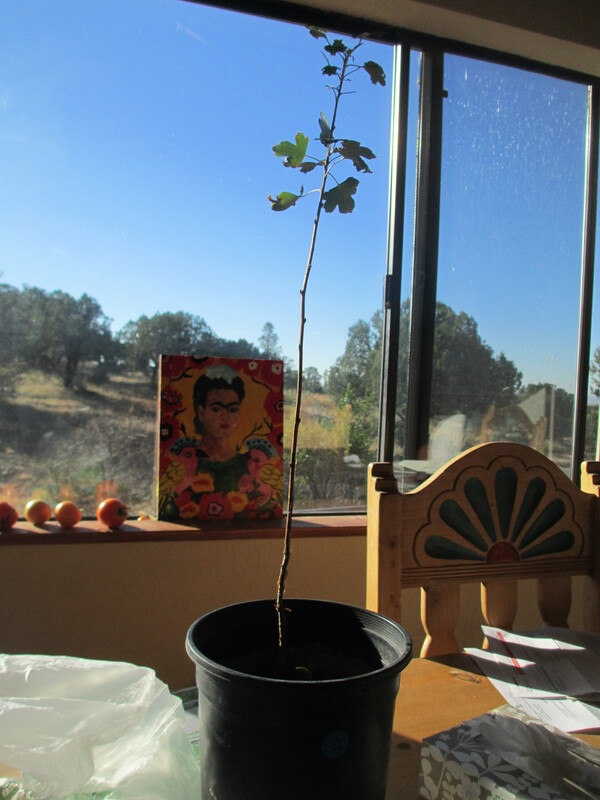 A yellow-flowered currant I bought in a fit of optimism. Please pray for its survival. I like plants with a strong will to survive. Anything that requires too much pampering is just asking for trouble. I agree. Maybe if I didn’t have anything else to tend to I could have fancier plants…maybe not. I seem to like to ask for trouble. Dude. you live in a desert. no plants. none. it’s not you. well, yes, it is. i lied. but the desert helps too you know. 🙂 i loved this post! I am totally blaming the desert for my dead-branch thumb. It really is ‘survival of the fittest’ in that dome! My jaw dropped when I saw the mangled snake plant! Although I love to garden outdoors, I can honestly say I don’t have a single houseplant! That is pretty sad. We live in a very small apartment, but I’ve got a living room with South facing windows so what is my problem? You have just inspired me to adopt a houseplant. And yeah, I will probably go with a low maintenance one as well. I’m getting better. I have a hibiscus and several other plants indoors. I just still have my moments where things die from neglect! There only so many things one person can pay attention to. I am learning my limits! May I recommend something like these: http://en.wikipedia.org/wiki/Hen_and_chicks or these http://en.wikipedia.org/wiki/Aloe_vera or cacti? We could be in the same jail together for the number of plants I’ve killed. I used to have one just like yours in the first picture. Those are hardy things. I gave up plants once and for all after my step-dad’s funeral. People had given my mom three giant house plants, and she gave one to me. Oh the watering, the repotting. The care it took was enormous, and I didn’t even have kids yet. 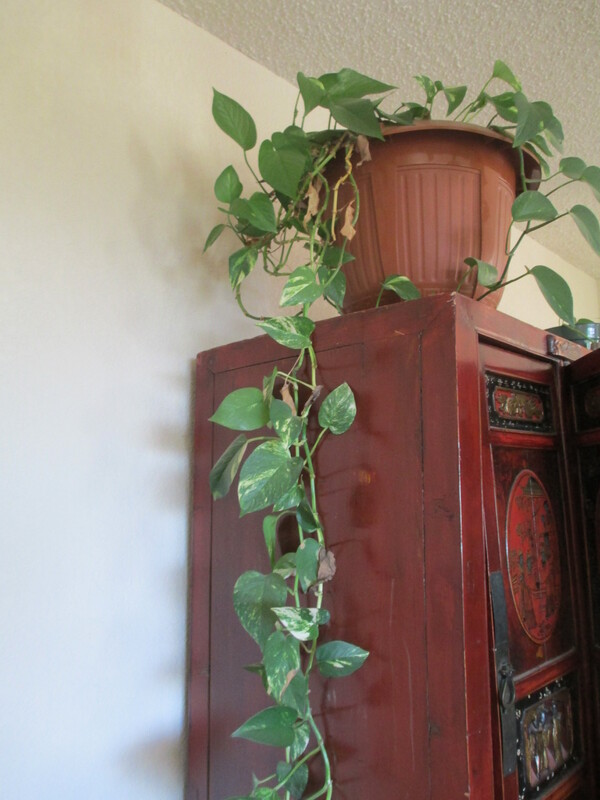 No matter how bad you are at houseplants, you cannot let a plant from your stepdad’s funeral die. After about a year the pressure became too much. I had to give the plant back to my mom and I never had a plant in my house again. We have some plants from my MIL that were cuttings from a plant that is over 100 years old and has been handed down through the family. I’ve been lucky and kept them alive for a few years now, but I can relate to the pressure you felt to keep that plant alive! I really enjoy gardening and repotting plants. I’m just not very good at it! 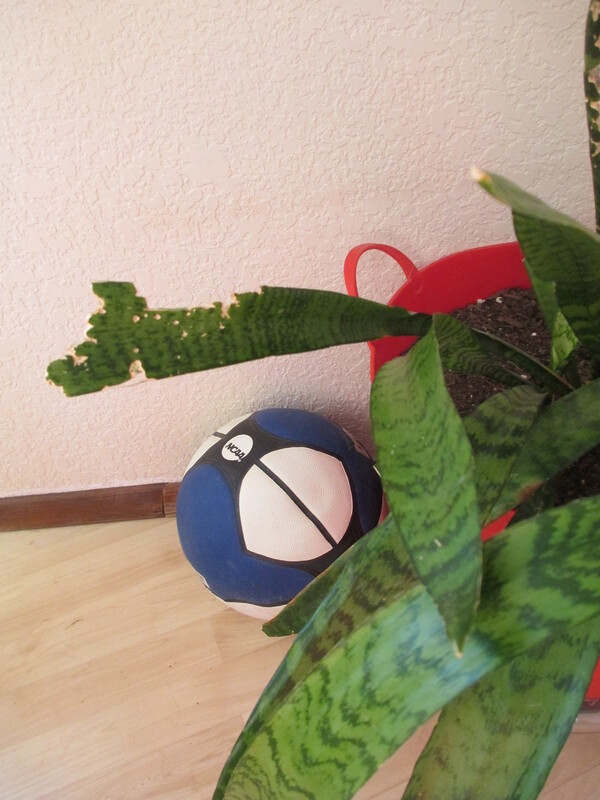 Even plastic plants are not safe here…some die by dust exposure.